The name of this extraordinairy lamp speaks for itself and it is the biggest brother amongs the Ufo’s! For this eyecatcher pendant lamp I applied a hooking technique and used about 250 meters of black electricity wire The light effects are suburb and vary on the bulb you use. With its ‘lower’ heights size this lamp fits in many places. 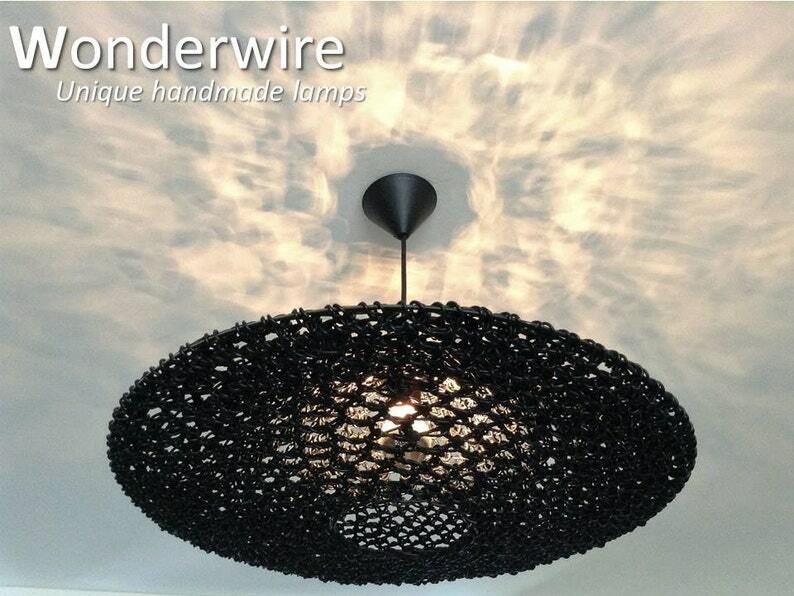 Included is a black ceiling cup and it can be adjusted in height through a strain relief. As a finishing touch I have used a fabric cord. If you have any questions or wish to buy this lamp please comment or sent me a pm and I will get back to you asap. Worldwide shipping possible.